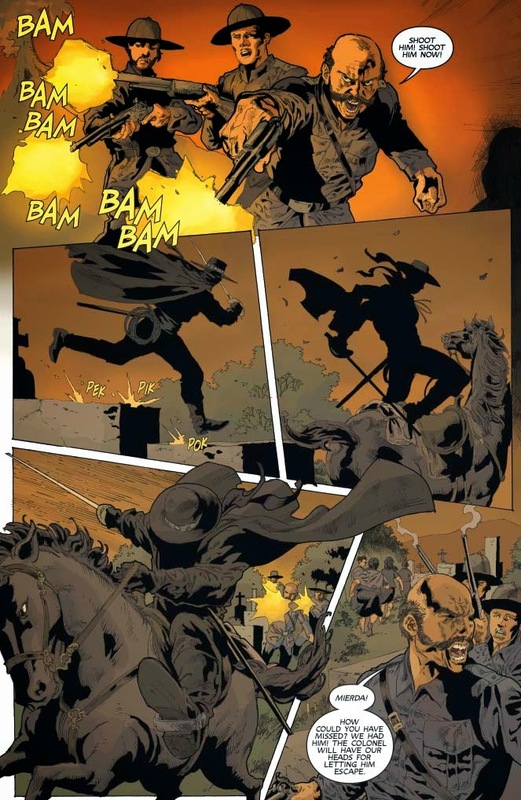 The legend of Zorro is one that features a hero whose reputation instills fear in the hearts of opponents. Even he needs a day or two off every now and then, which gives others a chance to step up and do good work. 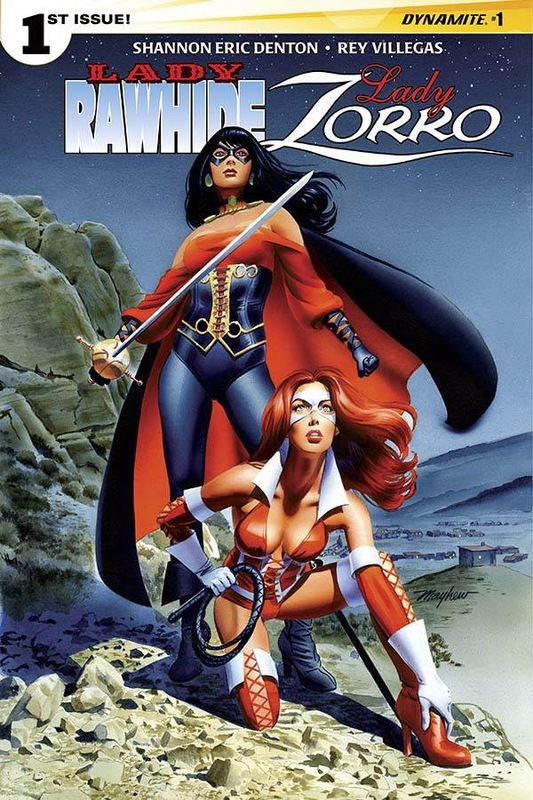 Lady Rawhide and Lady Zorro are two such ladies and they get a chance to team up in Lady Rawhide/Lady Zorro #1 from Dynamite Entertainment. The issue is written by Shannon Eric Denton, illustrated by Rey Villegas, colored by Morgan Hickman and lettered by Marshall Dillon. Zorro is murdered! Who stands ready to emancipate all the girls of an entire village from the evil slavers who would prey upon them? Lady Zorro and Lady Rawhide -- would sooner ride alone another than ride together, but that's just what they'll have to do to free all the missing girls from a fate worse than death. Both Lady Rawhide and Lady Zorro are two characters more than capable of holding their own against whatever perils the old west may have in store for them. This is a trait that Denton certainly doesn't shy away from, giving them plenty of opportunity to fight their way out of a few situations. What Denton does in Lady Rawhide/Lady Zorro #1 that feels really fresh is the means of pairing Lady Rawhide together with Lady Zorro. The two came together out of a plan surrounding the death of Zorro, only to end up realizing they're actually a good team together and can do even more good teamed up. Denton's presentation of the two is very strong and assertive, mixing in a little humor here and there. Providing a dark look to the book is Villegas. His style is gritty, but not overly noir and really fits with the look of the two leading characters. Lady Rawhide and Lady Zorro boast strong appearances bolstered by a delicate approach in terms of facial expressions and features. 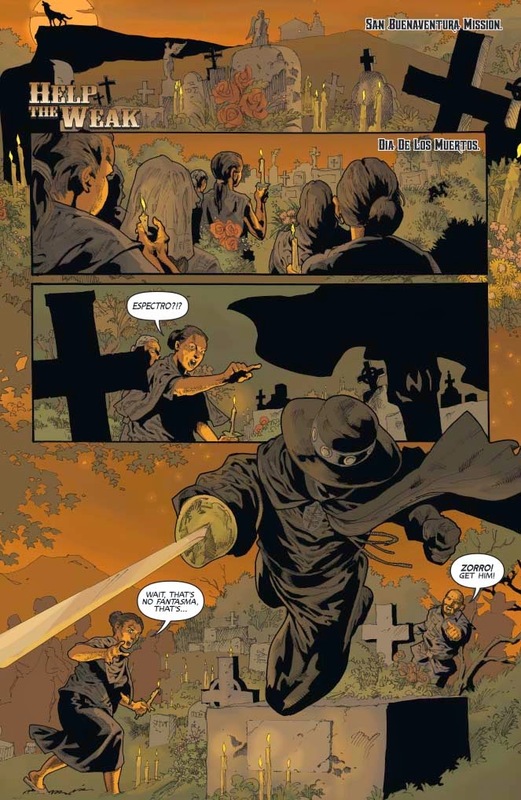 Villegas empties the gutters for most of the book to give the book an older look to it, emphasizing the characters. The soldiers fighting against the two main characters are depicted as violent and vicious, which makes it more satisfying when they're being dismembered by the two ladies. 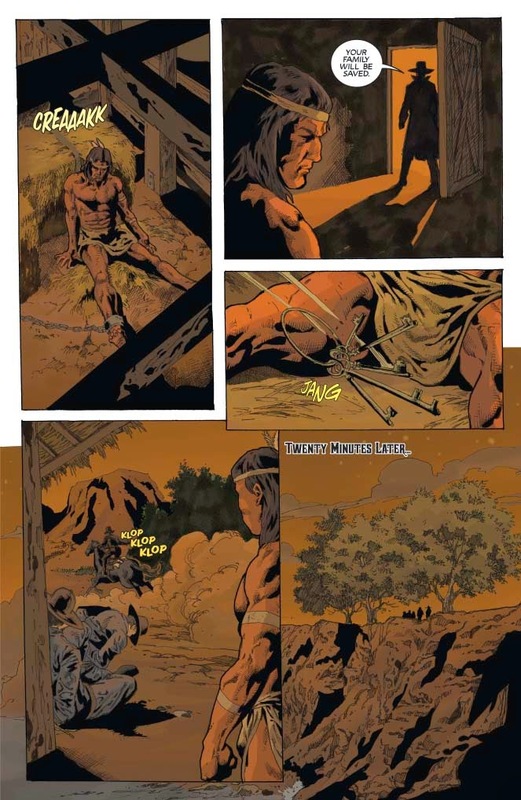 Hickman's colors live in reds and browns, all of which effectively determine the setting and create a strong atmosphere. 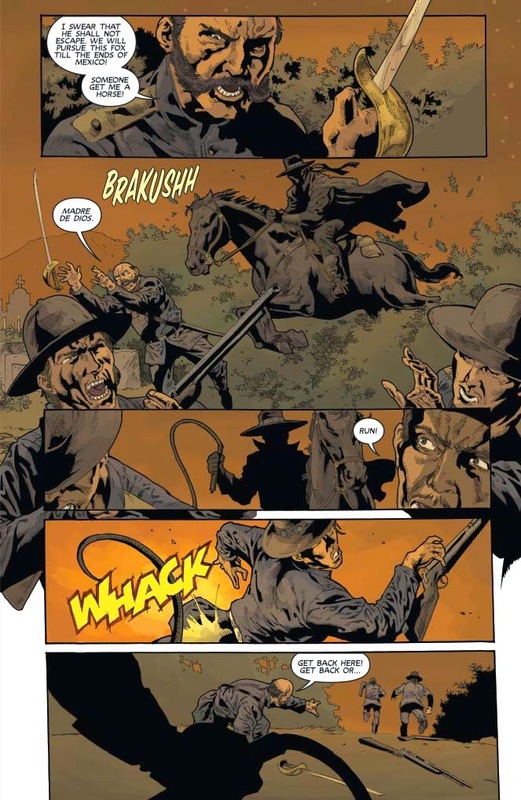 Lady Rawhide/Lady Zorro #1 is an interesting crossover featuring two characters familiar to many, even if they're not completely well-known. Their personalities are strong and fiery, providing plenty of support for the case to be made that they can extract justice in an unjust world. Denton's characterization of the two characters is one of strength and an ability to hold their own regardless of the situation. Villegas' illustrations are fitting and handle the combat well without overtly over-sexualizing either of the two leading Ladies. Lady Rawhide/Lady Zorro #1 is an interesting union of two characters who want to use their fighting and intelligence for good. 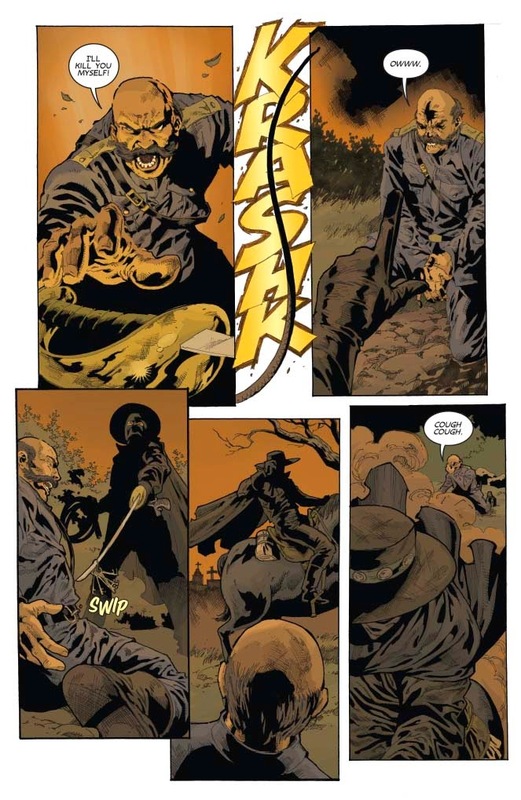 Lady Rawhide/Lady Zorro #1 is in stores March 18 with interiors below.